Sr. Animal: Brian Przepiora Jr.
Stop out to the Rec Center on Thursday March 20th at 7 PM for the next club meeting. Finalizing the format, schedule and a host of other items will be discussed. On Saturday November 2nd, we will celebrate all of the accomplishments that our great young drivers have made this you. Please come celebrate with us at the banquet hall in the Lucas County Rec Center. Meet and great will be at 12 PM. Please bring a salad or dessert with you. RSVP at mdmotorsports@bucrkeye-express.com or contact Marlene via cell phone. Come out to the annual Halloween Spooktacular hosted by the NWOQMRA club. Saturday will feature two 100 lap features, and one 50 lap feature for Jr. Honda. Chili Potluck Dinner following racing, Halloween themed activities/games, Chili Potluck Dinner, costume contests, Trailer decorating, and of course Trick or Treating at dark. Come join all the fun this weekend. Practice begins Saturday at 10 AM. On the format it states that the Spaghetti Dinner is by donation. This is incorrect. The Spaghetti Dinner will be held during the evening break at 6 PM. The dinner will be $5.00 per person. We hope everyone will be able to join us. Midwest Thunder is heading to Toledo! *Concession Stand will be open at 7:30 AM serving breakfast. *The NWOQMRA club will be hosting a Spaghetti Dinner during the break between Honda Day and "Under the Lights" AA racing. An incredible turn out for Round 5 and 6 of the Tri-City Series at Toledo! A special thank you to all of the members of the Lansing and Waterford clubs for stopping in Toledo for the last leg of the Tri-City series. The total car count for the weekend was 184 cars. Amazing turn out for our series! Congrats to all of the drivers! The driving was very competitive and you were all top notch. 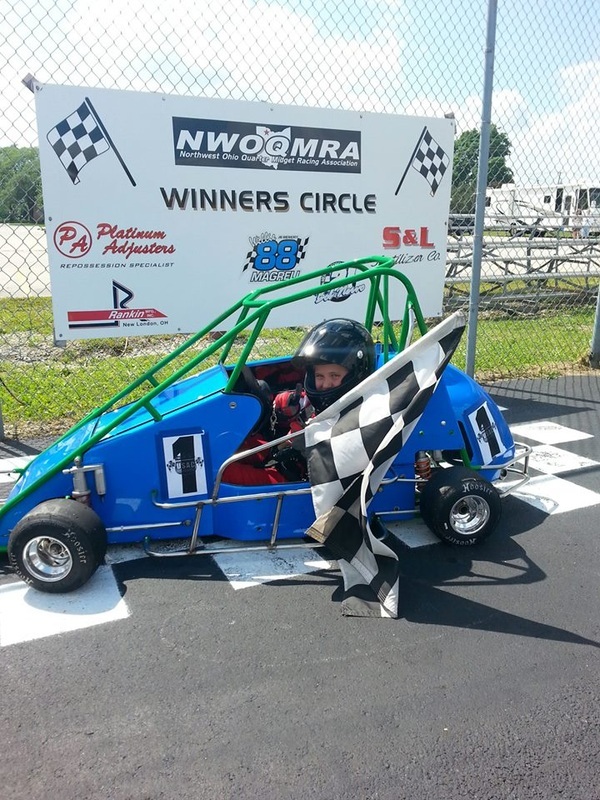 The NWOQMRA club will be hosting round 5 and 6 of the Tri-City series this coming weekend. Come out and enjoy racing, waterslides, bounce houses, raffles, snowcones and many other exciting things. Be sure to bring a bathing suit. Wristbands for the bounce house and waterslide is just $10 for the weekend. Just a reminder to families that will be coming we will be having a pot luck style dinner following racing on Saturday evening. Everyone is welcome. The NWOQMRA club will be providing sloppy joe's, grilled chicken sandwiches and hot dogs. 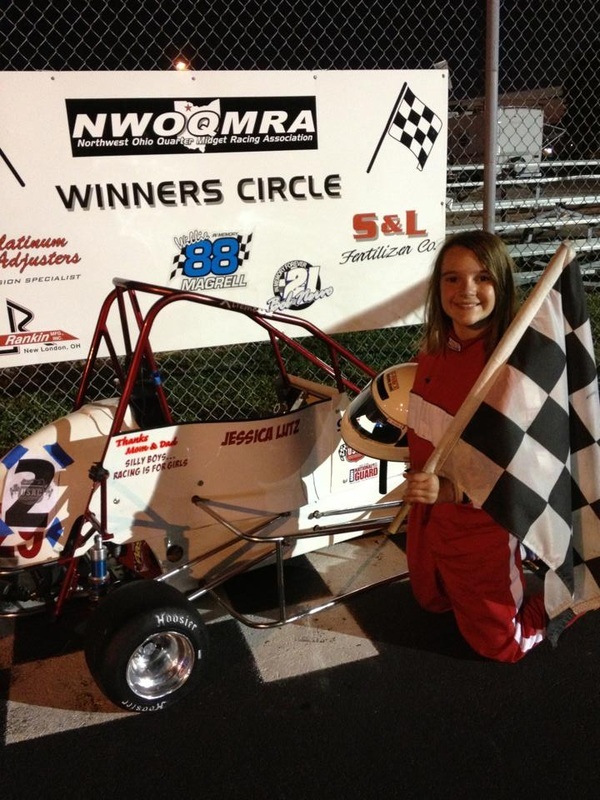 Round #3 and #4 Tri-City....... is this weekend at Capitol Quarter Midget club. There is a link above to the updated format. Be sure to check it out so that you know of the changes. Hope to see a great showing from the Toledo club! Congrats to all of the drivers this weekend. We had great weather, and awesome racing! 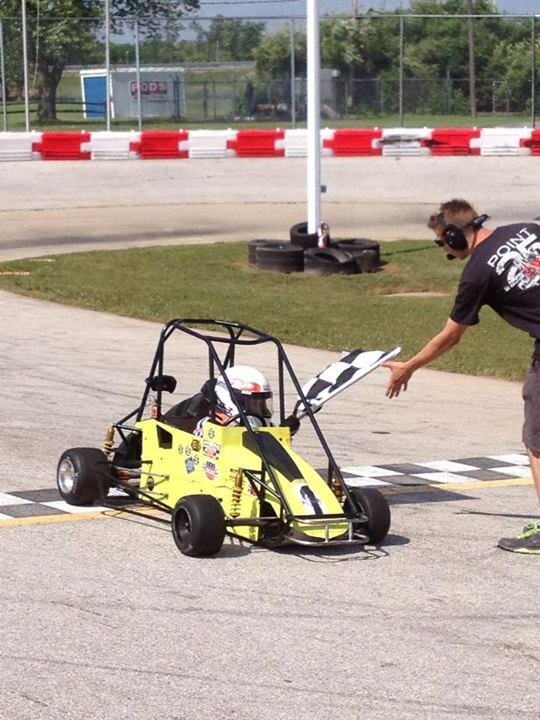 Spend Saturday and/or Sunday at the Toledo club participating in our weekend Fun Races. Practice begins at 10 AM, Qualifying at 12, and let the fun begin with some wild and crazy racing at 1:30. We can't wait to see everyone at the Rec Center! 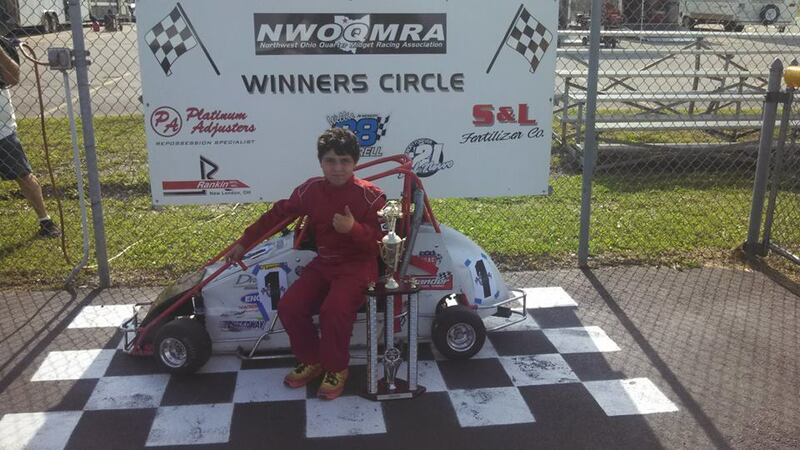 Calling all kids ages 5-16......Have you ever wanted to see what it was like to drive a quarter midget. On Saturday June 15th, you can do just that. 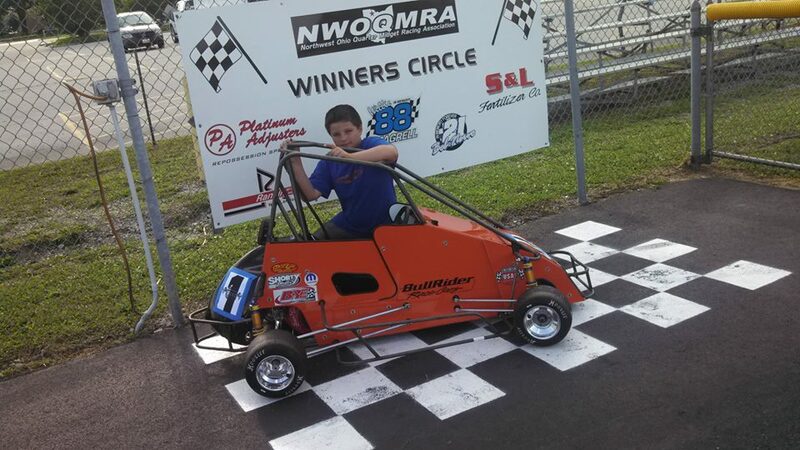 For $15, all kids will be able to participate in a controlled 10 lap ride (all equipment is provided), and get a hot dog, drink and goodie bag for coming out. Racing will be going on before and after the ride and drive, so stay for all of the exciting racing.